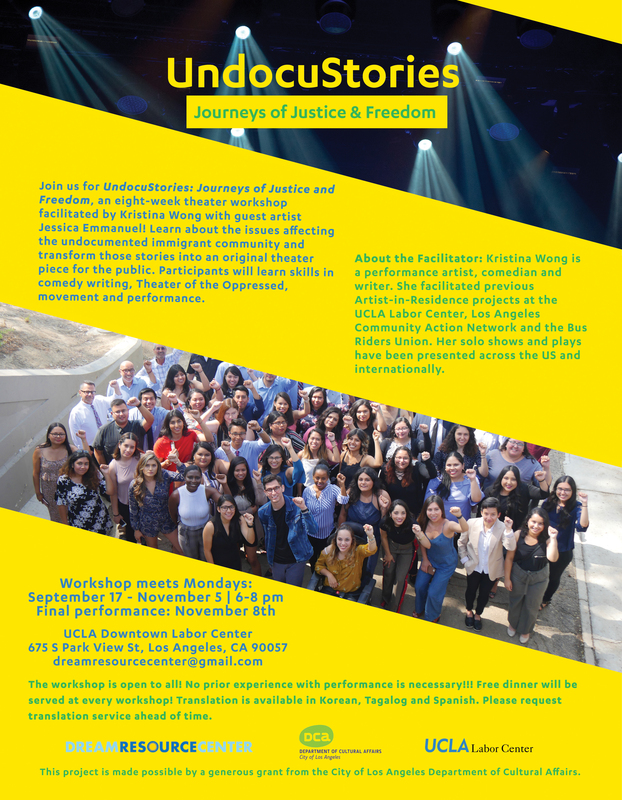 Join us for UndocuStories: Journeys of Justice and Freedom, an eight-week theater workshop facilitated by Kristina Wong with guest artist Jessica Emmanuel! 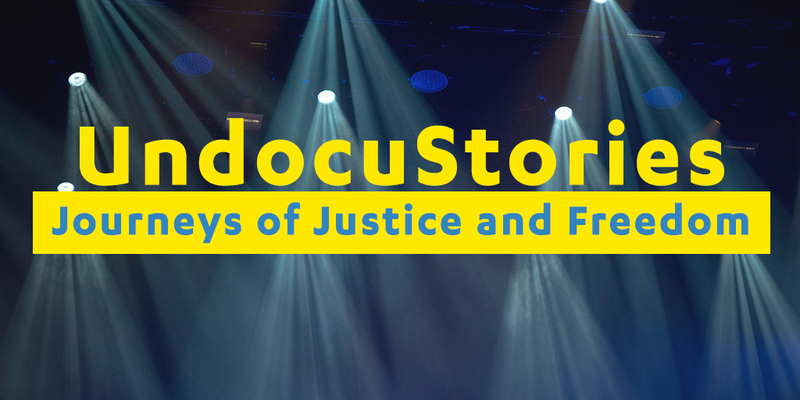 Learn about the issues affecting the undocumented immigrant community and transform those stories into an original theater piece for the public. Participants will learn skills in comedy writing, Theater of the Oppressed, movement and performance. The workshop is open to all! No prior experience with performance is necessary!!! Free dinner will be served at every workshop! Translation is available in Korean, Tagalog and Spanish. Please request translation service ahead of time. About the Facilitator: Kristina Wong is a performance artist, comedian and writer. She facilitated previous Artist-in-Residence projects at the UCLA Labor Center, Los Angeles Community Action Network and the Bus Riders Union. Her solo shows and plays have been presented across the US and internationally. This project is made possible by a generous grant from the City of Los Angeles Department of Cultural Affairs.